This weekend will be full of cake pops! Here’s the first, and the easiest for the weekend! 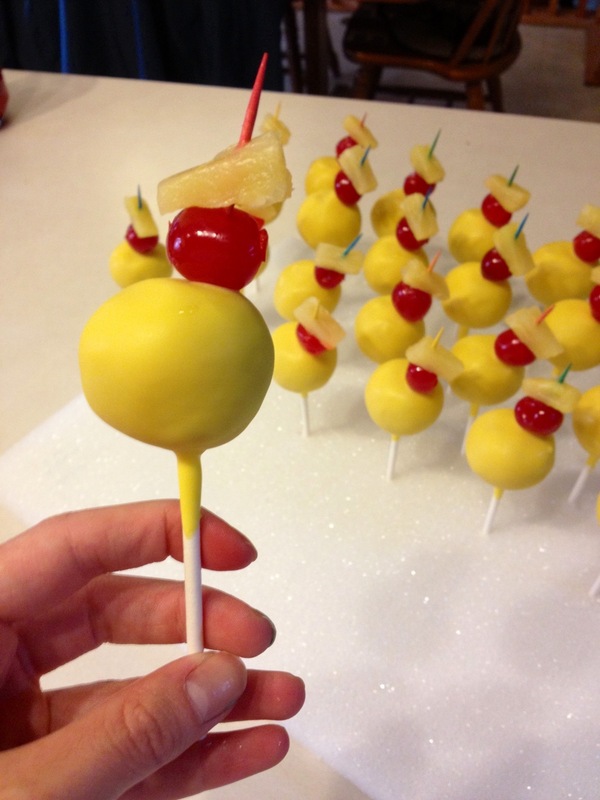 Pineapple upside down cake, in cake pop form. 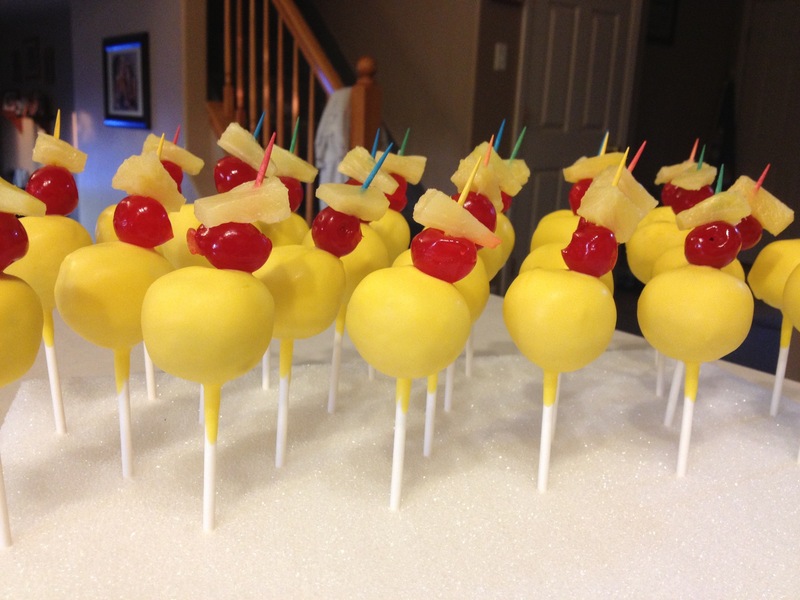 2) let cool, add icing (vanilla pudding powder in plain icing), shape into balls, add sticks and freeze. 3) melt the color of your choosing for dipping. Yellow just made sense to me. 4) I already had the toppers made so I could add them while candy melt was still wet. This post has a more detailed how-to! Thanks! You know, I used about the same amount of icing as I usually do. About 1/3 of a store bought icing. I recommend baking your cake and seeing what it’s texture/moisture is like, and then deciding if you think it needs more or less. I hope they turn out great! Awesome, thanks! I’m thinking about trying to add some of the buttery brown sugar mixture that is typically in Pineapple Upside-Down Cake, but instead of putting it in before baking, I will probably wait until I’m ready to mix the icing in, then see how well it holds together before adding the icing. I can’t imagine I’ll need that much, but we’ll see!